The daughter of the late Edward Eugene Davis Jr. and the late Rose Lee Davis, Rev. 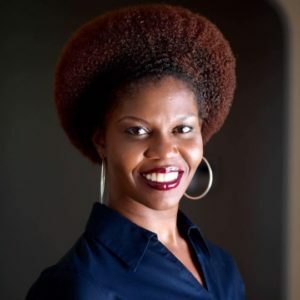 Tawana Davis was born and raised in Harlem, New York, educated in the public-school system, raised in the African Methodist Episcopal Church, and began her life of service in the shadows of her mom and dad. After attending St. John’s University, Tawana completed her studies at SUNY Empire State with a Bachelor of Science in Human Resources Management. Later, she received her certification as a Human Resource Professional from Cornell University, a certificate in project management form NYU, a Master of Divinity at Turner Theological Seminary at the Interdenominational Theological Center in Atlanta, GA and is currently attending Antioch University Graduate School of Leadership & Change pursuing her PhD. 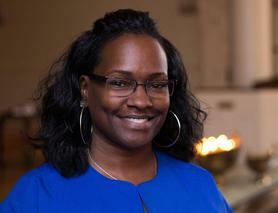 As a community leader; youth/young adult advocate; domestic violence survivor and awareness activist; and currently surviving HER2+ metastatic breast cancer while advocating and supporting other breast cancer survivors, Tawana has served the church and community in a leadership capacity for the last 25 years. Currently Rev. Davis is a Co-Founder/Consultant of Soul 2 Soul, a Black Womxn led, faith-based racial justice non-profit organization that centers Black lives and experiences. Established in 2015 Soul 2 Soul is leading and facilitating anti-racism work across the country. Tawana also serves on numerous boards: The Stomp Out Breast Cancer Foundation Inc., The Institute for Racial Equity and Excellence, and The Interfaith Alliance of Colorado. She is a proud mother of two and grandmother and, most of all, she is a justice activist for all! Born and raised in Denver, Colorado by Dr. Debra Mixon Mitchell and Darrell R. Riley, Rev. Dr. Dawn Riley Duval is a social justice truth teller, a community organizer, a religious first responder, is a co-founder of the Black Lives Matter Denver Chapter, and is a co-founder and consultant of Soul 2 Soul Sisters. A womanist, spiritually eclectic minister, Rev. Dr. Duval is an ordained Itinerant Elder in the African Methodist Episcopal Church who honors, studies and practices African indigenous religions and rituals. She has 15 years' experience as a community organizer, facilitator, and consultant in the areas of voter engagement, eliminating anti-Black racism, and protecting reproductive health, rights and justice. Rev. Dr. Duval has a Bachelor of Arts Degree in English Rhetoric from University of Illinois at Urbana, a Master's in Print Journalism from University of Colorado at Boulder, a Master's of Divinity from Vanderbilt University, and a Doctor of Ministry degree from Chicago Theological Seminary. She has received awards for her activism from the NAACP CO-MT-WY Conference, Colorado Black Women for Political Action, and Vanderbilt Divinity School. Rev. Dr. Duval's greatest joys are precious moments swimming, hiking, laughing and resting with her daughter and son.